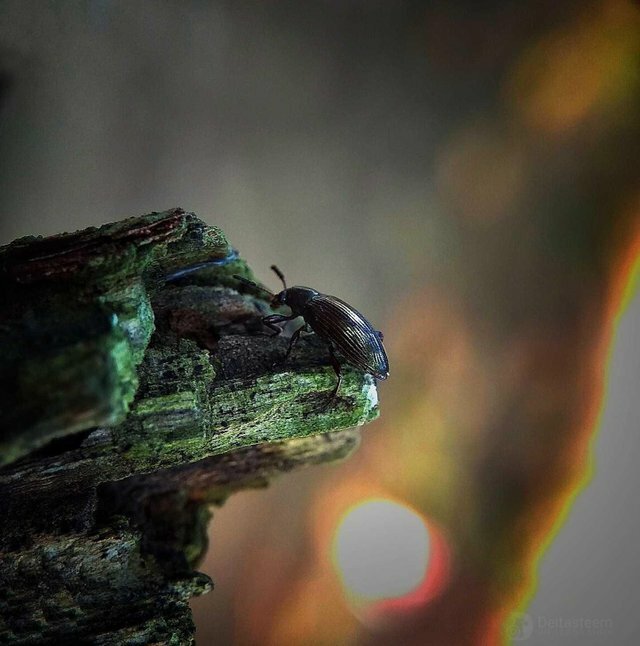 This is the second time I have met an wood beetles and I take a picture in a few guesses of the of macrophotography and color black with a little shiny making these small insects look very attractive when they are in a picture of macrophotography. 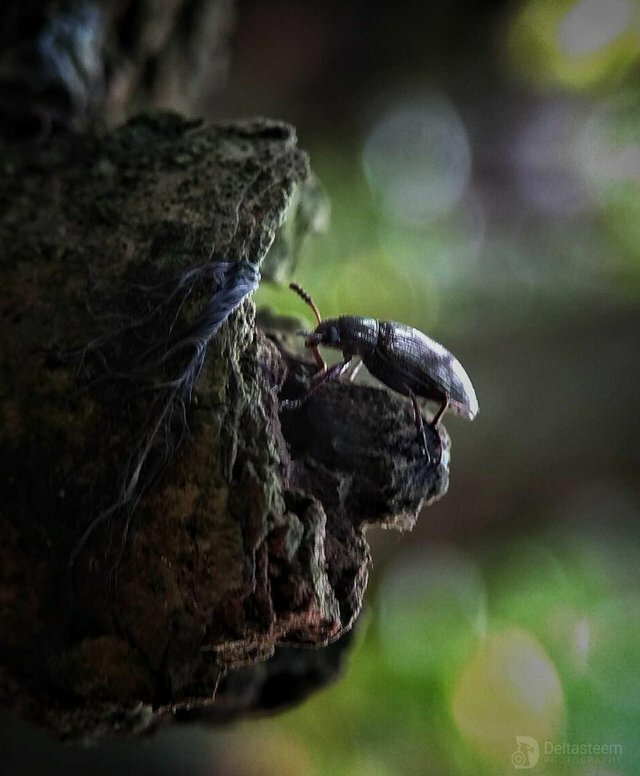 I got a picture of this little beetle macrophotography on a mango tree trunk in a coconut plantation area of ​​farmers in the area I live in,I took this picture during the day. Congratulations! This post has been upvoted from the communal account, @minnowsupport, by deltasteem from the Minnow Support Project. It's a witness project run by aggroed, ausbitbank, teamsteem, someguy123, neoxian, followbtcnews, and netuoso. The goal is to help Steemit grow by supporting Minnows. Please find us at the Peace, Abundance, and Liberty Network (PALnet) Discord Channel. It's a completely public and open space to all members of the Steemit community who voluntarily choose to be there.